Halfdan & Guthrum,raided Mercia and captured Repton. Halfdan gave the king of East Francia Louis the German a sword with gold. Hallstein sailed to Angers to plunder, but when the Vikings reached the town they found it abandoned. The inhabitants had packed up and left when they heard that the Vikings were on their way and in autumn 873 the Franks and the Britons together laid siege to Angers. Monk Reginos’ chronicle relates that the battles lasted day and night and that the Franks had brought siege engines to break down the town walls. Ivar the boneless died of a hideous disease. The Frisians answered that they only would pay tax to Louis the German and his sons, and Rodulf Haraldsson answered "I will kill all men and take their belongings and enslave women and children". 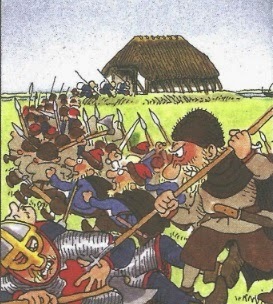 The Frisians won the battle and Rodulf Haraldsson and 800 vikings were killed, the rest hid in a barn. 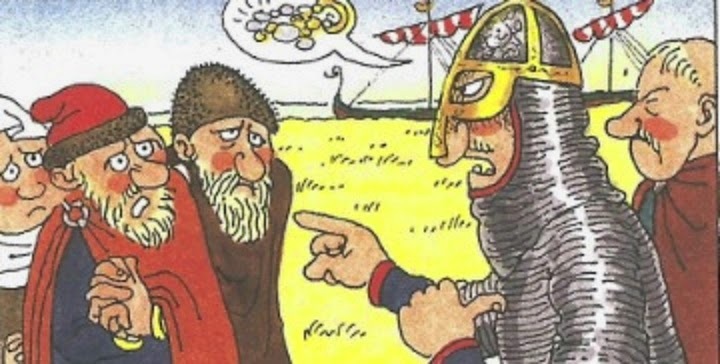 After taking advice from a Christian Norman, which had lived in Frisia, the Frisians took hostages of the surviving vikings in the barn and made them march to their ships. 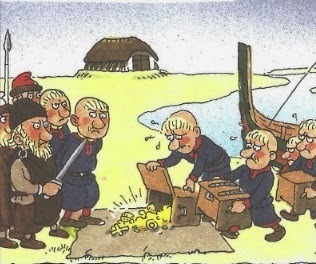 The vikings delivered all their stolen money in return for the hostages freedom and they swore an oath that they would never return and they sailed away quick and without their dead leader Rodulf Haraldsson.